About us is really about you – aircraft owners and pilots, airport managers and engineers, corporate flight department managers and pilots, flight center operators, aircraft maintenance technicians, flight instructors, aviation educators, and aviation support service professionals. 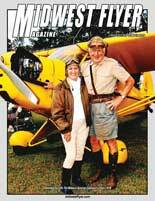 Dave and Peggy Weiman founded “Wisconsin Flyer” magazine in 1978, renamed the publication “Midwest Flyer Magazine” in 1980, and expanded the area served from one to 12 Midwestern states including Wisconsin, Minnesota, North Dakota, South Dakota, Iowa, Nebraska, Kansas, Missouri, Illinois, Indiana, Michigan, and Ohio. 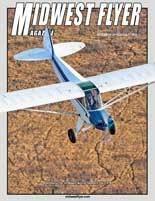 Midwest Flyer Magazine has grown from 12 black and white pages in 1978 to 64 color pages today — more than five times its original size – and circulation has likewise increased! Dave Weiman is editor and director of advertising. He holds degrees from Metropolitan State College-Minneapolis (ALA), the University of Minnesota-Twin Cities (BA), and the University of Wisconsin-Madison (MS). Dave was on the faculty at the University of Wisconsin in extension education prior to Midwest Flyer Magazine. 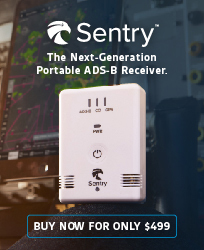 He started flying in 1971 and holds a Private Pilot Certificate (Land & Sea), an Instrument Rating, and high altitude, complex gear and tailwheel endorsements. 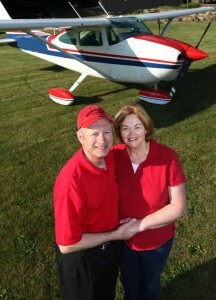 Dave and Peggy have owned three aircraft and currently own a Cessna 182 Skylane. Peggy Weiman is director of production and circulation. She holds a degree from Granite Falls Technical College in Minnesota, and has received advanced training in computer science. Peggy is experienced in graphic design and responsible for the final layout of the magazine, as well as the magazine’s website and Internet services. Prior to Midwest Flyer Magazine, Peggy held administrative positions at the University of Wisconsin-Madison campus. 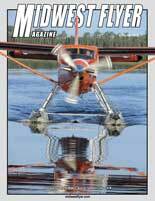 Midwest Flyer Magazine has many contributing writers and photographers who share the Weimans’ passion for flight. 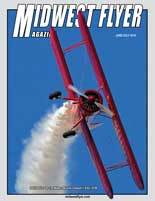 It is this combined effort, which has made Midwest Flyer Magazine an award-winning publication, both in print and online (www.MidwestFlyer.com). “National Journalism Award” for superior news coverage of aviation issues nationwide (National Association of State Aviation Officials, 2010). 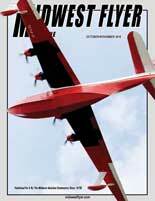 “AOPA Presidential Citation” for 25 years of quality aviation reporting (Aircraft Owners & Pilots Association, 2003). “Aviation Business of the Year Award” (Wisconsin Aviation Trades Association, 2000 and 2009). “Award of Excellence” for outstanding leadership and the promotion of aviation in the state of Minnesota (Minnesota Council of Airports, 2004). “Blue Light Award” for excellence in reporting aviation news and information (Wisconsin Airport Management Association, 1981 & 2005). 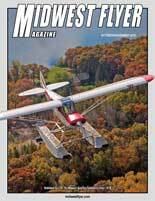 From hard-hitting editorials and columns from experts in aviation law, pilot health, flight training, aircraft maintenance, and airport development, to feature stories about pilots, planes, airport restaurants and travel destinations, and the most complete and current calendar of aviation events in the Midwest, Midwest Flyer Magazine has the content readers are looking for without all of the fluff! 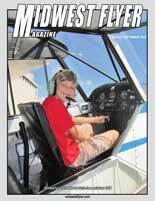 People may skim over other aviation publications, but they read Midwest Flyer Magazine from cover to cover.